Transforming the viewing experience worldwide, Espial today announced that Orange, a top-ten mobile operator with 244M subscribers in 30 countries across the globe, has launched a new consumer streaming device called Orange TV Stick based on Espial’s HTML5 Client software. Orange’s new platform provides European consumers with a rich set of video services including Live TV (70 SD and HD, local and international channels), Catch-Up TV, managed VOD portals, access to premium music, Over-the-top (OTT) video services, and an ecosystem of applications on an HDMI stick. In Orange’s recently announced 5 year plan – “Essential2020” – CEO Stephane Richard announced the TV Stick will first be deployed in Romania, followed by France and other countries in Europe in the very near future. Through the Orange TV Stick, viewers can share and enjoy their personal contents on TV, as well as pilot live TV through an application available for tablets and smartphones. Built with advanced HTML5 Client software from Espial, Orange TV delivers a high-end user experience. 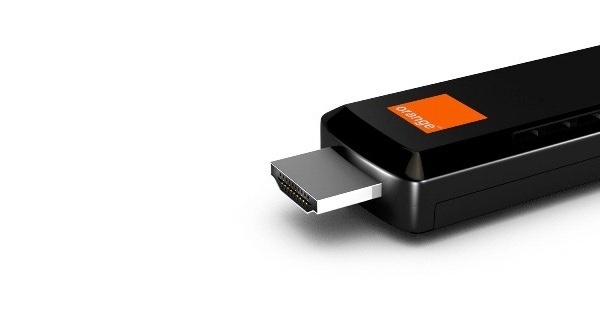 The Orange TV Stick is enabled with a secure Wi-Fi connection, and can be plugged into a variety of consumer devices including TVs and laptops. The shift to a full HTML5 solution is a milestone in Orange’s convergent strategy, creating a seamless experience between broadband and mobile services.